Ben Platt has been dominating Broadway with his performance in Dear Evan Hansen and his star is on the rise in TV and Film. Here's everything you need to know about your fave new actor. 1. Ben's first on screen role was in "Pitch Perfect" (2012) as Benji Applebaum. 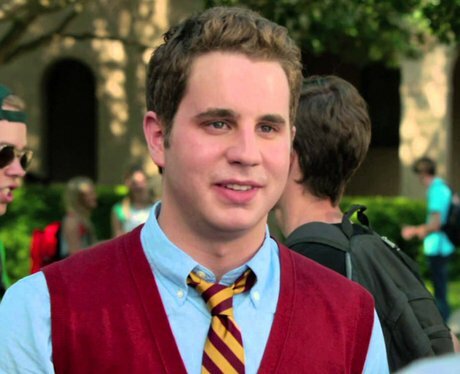 Before Ben became Evan Hansen, he was most known for playing the role of Benji in the Pitch Perfect movie franchise. Funnily enough, Ben was also part of an a capella group at Columbia University called Nonsequitur. 2. Is Ben on social media? He is! Ben is on Instagram and Twitter at @bensplatt. He is, unfortunately, not on Snapchat but he does post to his Instagram story regularly... and almost every picture is iconic. 4. Ben Platt's father is hugely successful Hollywood and Broadway producer. Ben grew up in a pretty musical family. His father, Marc Platt is the producer behind La La Land, Wicked and tons of other movies. His brother Jonah is also a Broadway actor, having starred as Fiyero in Wicked. Ben's mother, Julie Platt, is a Jewish communal leader and philanthropist. 9. Ben also made a guest appearance on the new season of "Will & Grace". The Politician won't be Ben's TV debut. He made a small guest appearance on season nine of Will & Grace in the episode called "Who's Your Daddy". He played Blake, a gay millennial who isn't quite up scratch with the history of the LGBTQ+ community. 10. Are Ben Platt and Skylar Astin related? While they look like they could be brothers, former Pitch Perfect co-stars Ben and Skylar are not related. 11. Was Ben in Orange Is The Black? No! He wasn't, but to be fair, he does look a LOT like the actor in the show. Many people thought Corrections Officer Bayley was played by Platt but he was actually played by Alan Aisenberg. Aisenberg says he gets people on the street shouting "PITCH PERFECT!" at him all the time... So many Ben Platt lookalikes, so little time! 13. Ben is currently in the studio recording his debut album. Get ready for a whole album of original Ben Platt songs because he's been hard at work in the studio recording his debut album. "It has been a longtime dream to create original music," said Platt in a statement. "I am so excited to be working on this debut album and even more excited for the day I can share it with the world." 14. What happened when Ben Platt met Beyoncé? Ben Platt is a HUGE Beyonce fan and when she came to see Dear Evan Hansen on Broadway, Ben documented the whole thing on Instagram.